This adorable set of plastic bears comes in three sizes, three weights and four colors. Not only will your little ones enjoy playing with these bears, but learn size recognition, counting and sorting. Bears are also proportionally weighted and can be used on a balance for measurement discoveries. 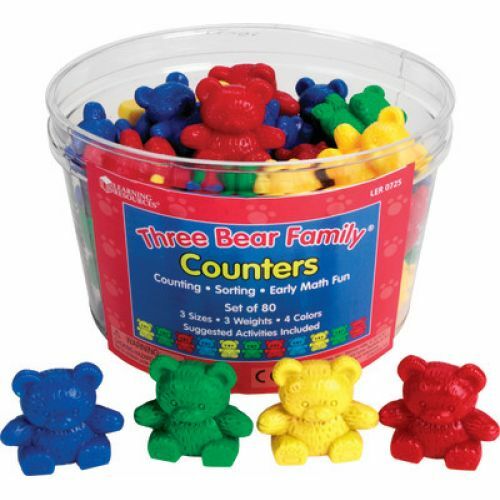 This 80-piece Basic Set contains 20 Papa, 20 Mama and 40 Baby Bear counters in four colors. Packaged in a reusable storage container.